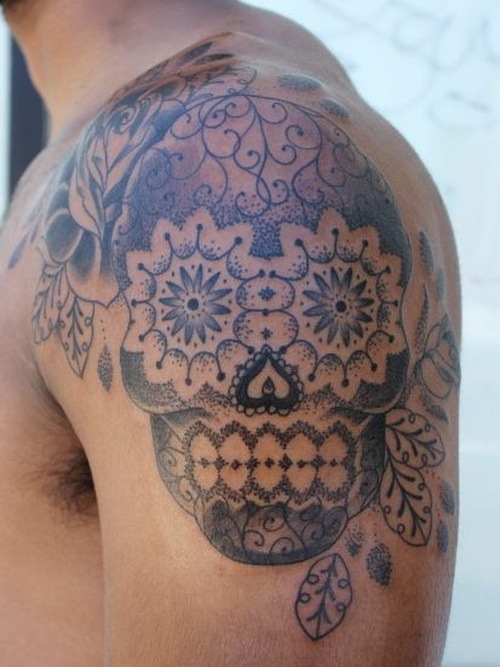 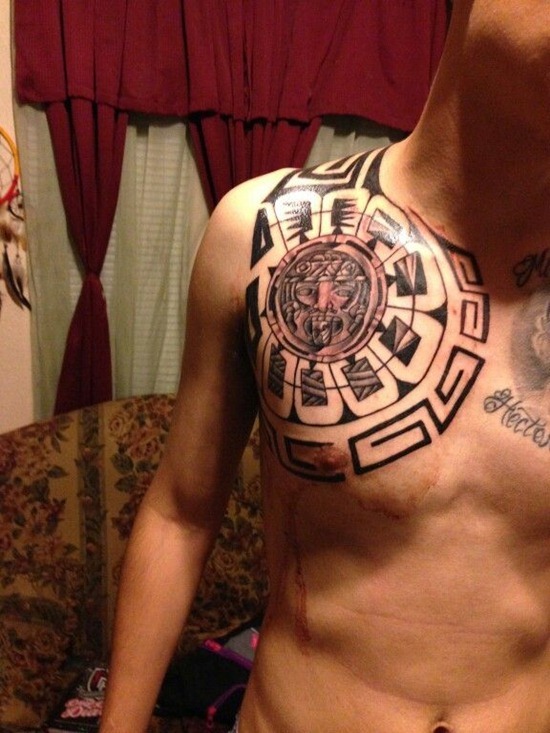 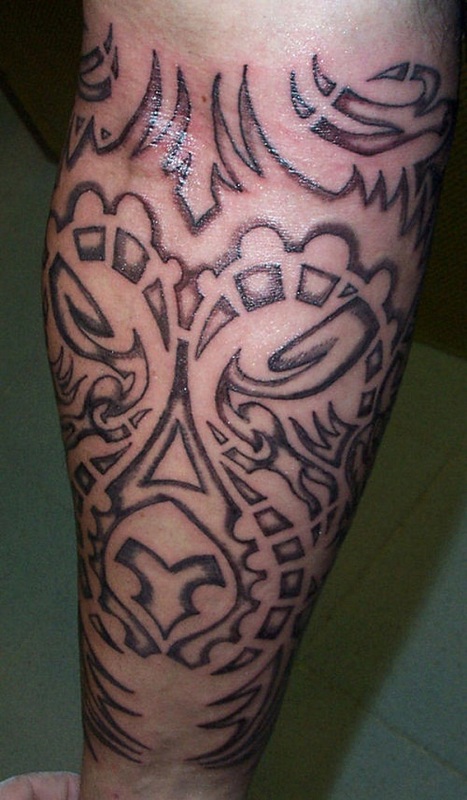 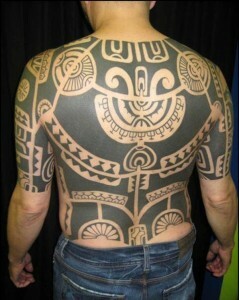 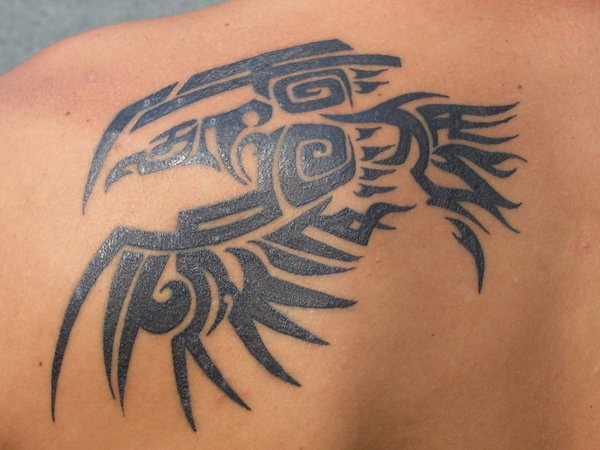 Aztec tattoos, popularly known as Mexican tribal tattoos, is undoubtedly in vogue these days. 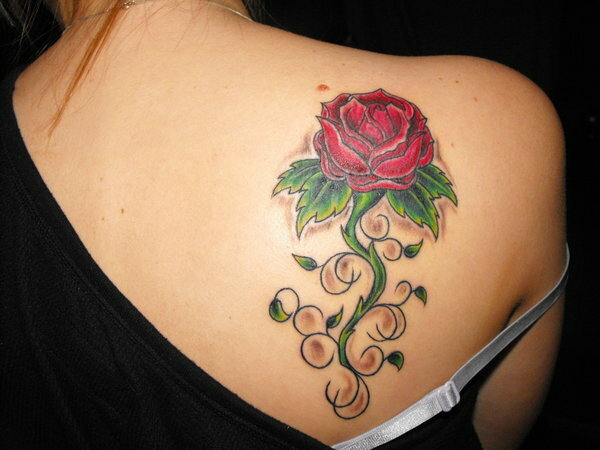 The popularity has attracted modern day boys and girls mainly because of all the cultural meanings attached to it. 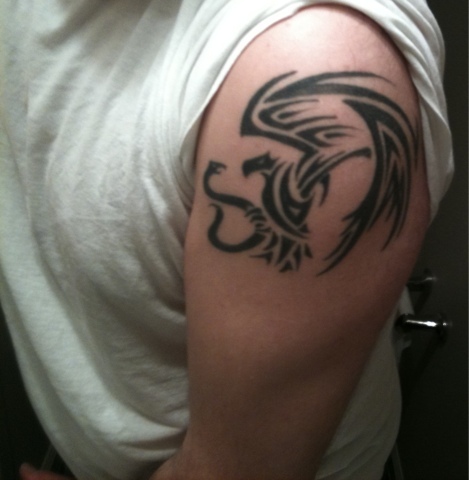 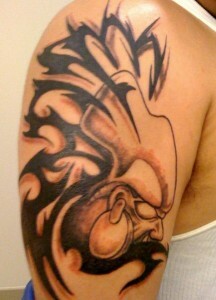 The eagle tattoo signifies, power, strength and courage. 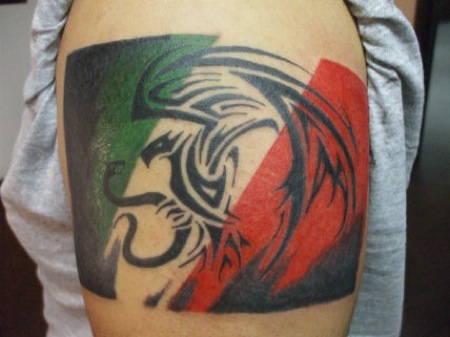 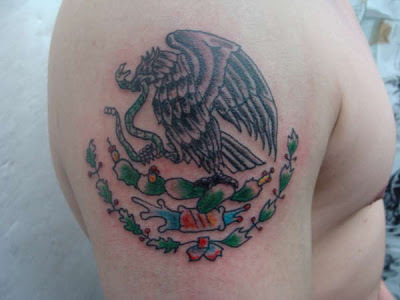 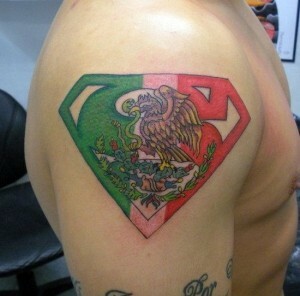 Here is an interesting tattoo of eagle along with the Mexican flag color placed inside the Superman insignia. 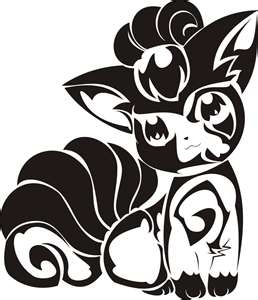 There are no shortage of interesting and unique tattoo designs. 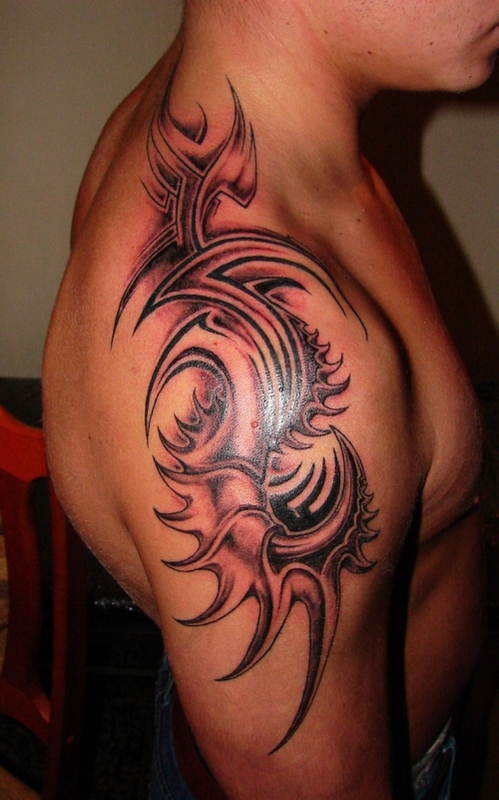 Shoulder seems to be the most popular body part for these designs. 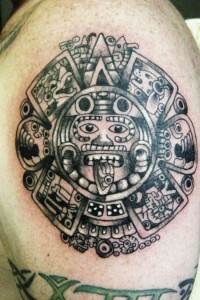 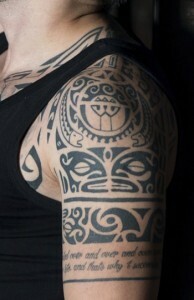 Aztec tattoo artwork still used as an inspiration for many modern day tattoo.